Recent research by Parks Associates has shown that potentially 11% of US households using over-the-top (OTT) video services are exclusively using accounts paid for by someone outside of their home. The research paints a positive picture in terms of the popularity of on-demand services such as Netflix and Amazon Prime, showing that almost 60% of households in the US are regularly accessing OTT subscriptions. But in terms of hours consumed versus dollars spent the 'lingering challenge' of account sharing might start to be a cause for concern to the big streaming companies. It's not just Netflix that has this issue, though it is hit the hardest. With 11% of its users using an account paid for by someone else, Hulu Plus is seeing account sharing totalling 10% of its users and Amazon Prime sits at 5%. Unsurprisingly it's in the younger households where account sharing is most prevalent. Of 18-24s using an OTT service 22% aren't the ones paying for it. That makes total sense where that's the demographic most likely to be living in shared homes in the first place. When we're being told that subscription video on demand use is going to skyrocket over the next few years though you can see the service providers are likely to start thinking hard about how to tackle the freeloaders. 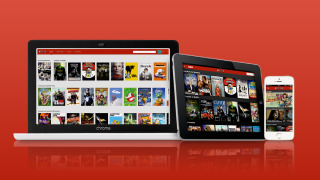 A separate research project by UK-based Juniper Research forecasts that the current global OTT subscriptions of around 92 million will jump to 332 million by 2019. If 10% of those people aren't paying what's already a big number becomes huge. It would then be tough for the providers not to see that as a lot of lost potential revenue.